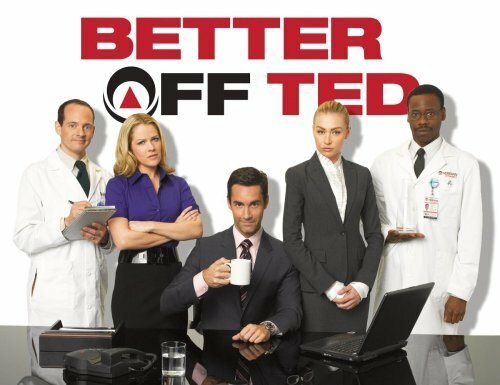 And by that I mean, Portia De Rossi in the series Better Off Ted - a satirical series that revolves around Ted's life in the R&D department of the soulless invention conglomerate that is Veridian Dynamics. While the show garnered positive feedback from critics, it had a low viewership and was later cancelled some time in its second season. Its humor reminds me of Modern Family, I guess that's the reason I liked it in the first place (yes, I'm such a Modern Family fan!). 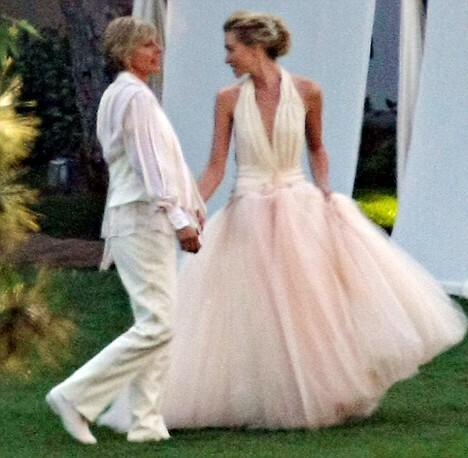 I'm thinking she's a Zac Posen muse because all her gowns were made by him, even her beautiful wedding gown. It really is my favorite! Love the back of this gown. Usually braids don't do it for me, but this made me reconsider. Her bone structure and complexion: just flawless. In Better Off Ted, she plays Veronica Palmer - Ted's immediate supervisor at Veridian Dynamics. She's cool, calm, collected and often lacks a conscience. She's funny in her arrogant ways and she always gets what she wants. In Arrested Development, she plays Lindsay Funke. She's materialistic, flamboyant, and likes to be the center of attention as she adopts a cause for a week or two. She's just a complicated character that way, I suppose.